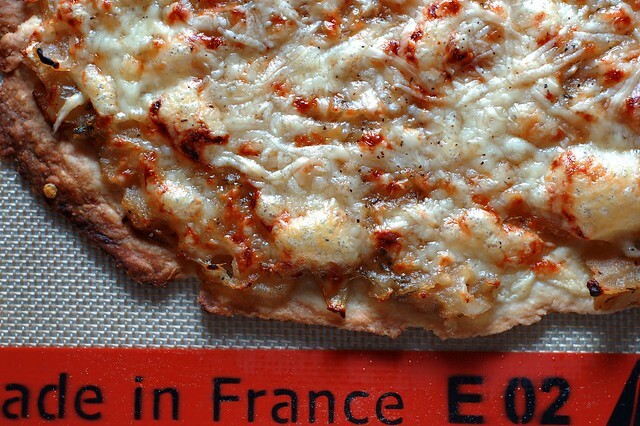 Onions and apples and cheese, oh my! 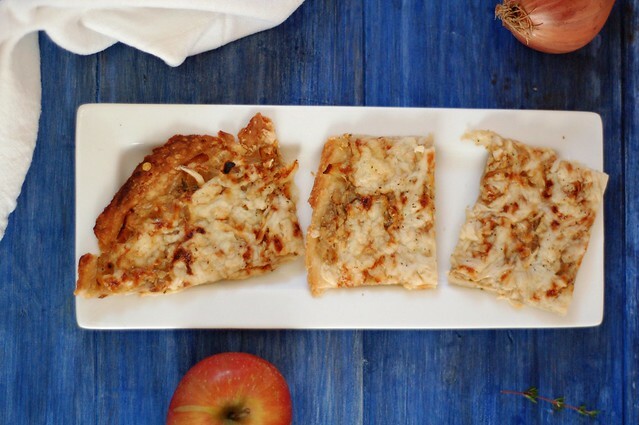 The combination of gooey, rich cheese, nutty, mellow onions and sweet apples is not to be missed. 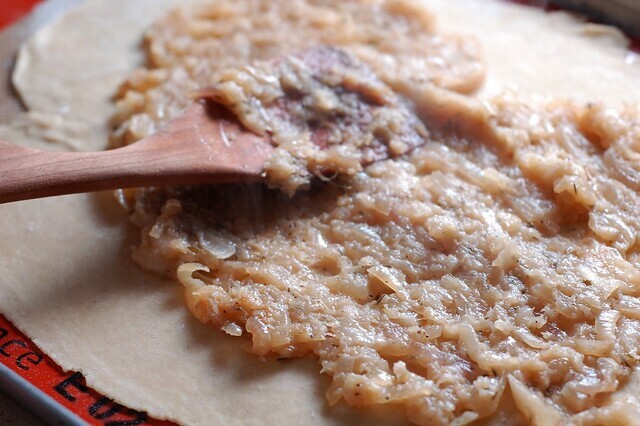 I made this one by rolling out a batch of pie crust into one flat sheet, layering on the onions, apples, cheese and thyme and then baking until golden and crisp. 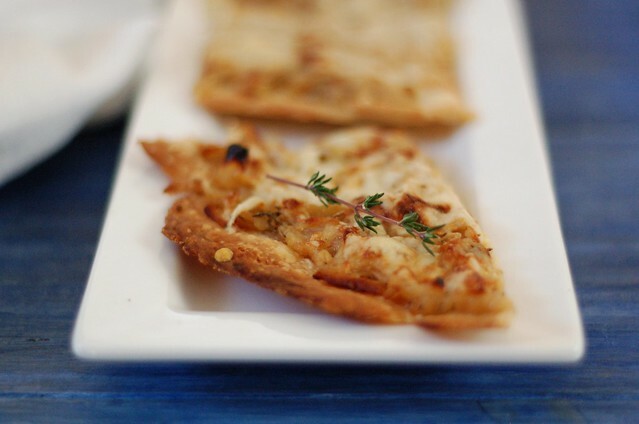 The easier option would be to use puff pastry and the results would undoubtedly be buttery, crispy and delicious. 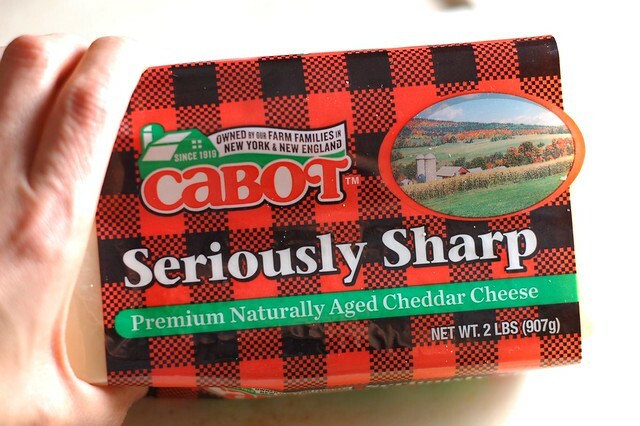 In terms of cheese, I used Cabot sharp white cheddar which I find to be quite tasty and some Parmesan. 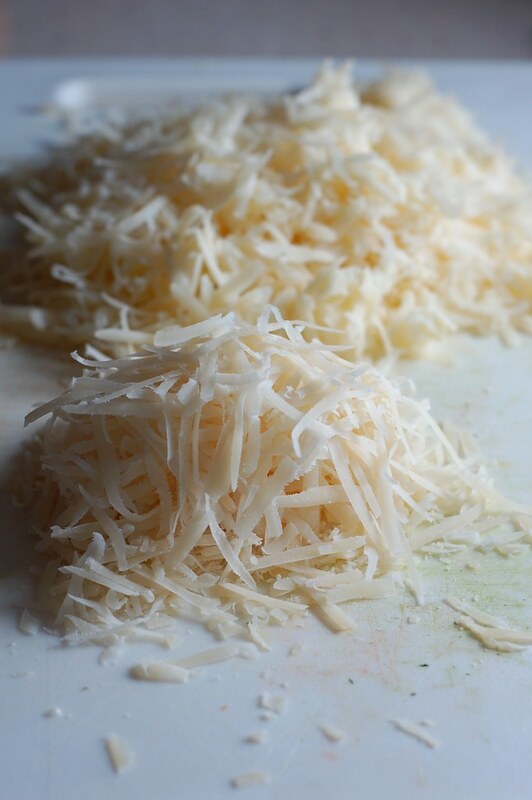 I'm also a big fan of Kerrygold's Dubliner Irish cheddar for its sweet, nutty flavor, and Gruyère would also be nice. Followed by a bunch of slicing of apples and onions and shredding of cheese. I'd recommend using a hand-held mandolin for the apples to speed things up and to get really thin slices. 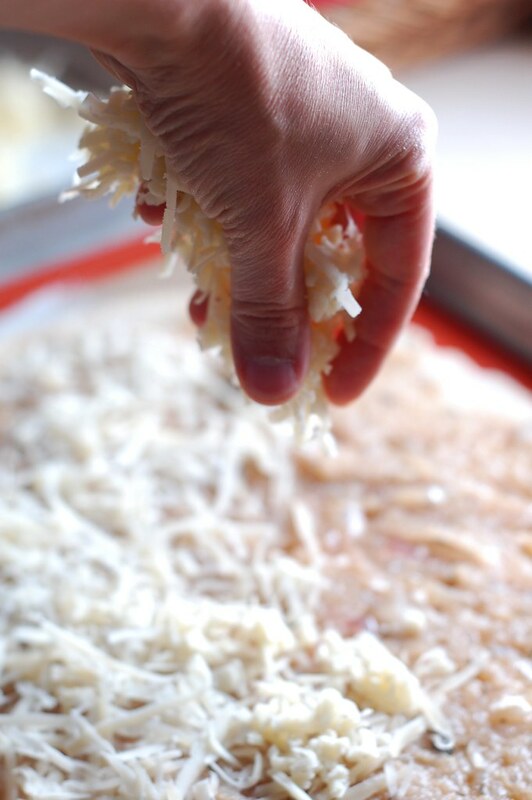 Followed by a long, slow saute to get everything really soft and sweet. Then you eat it. Simple and delicious. 2. Caramelize the onions. Melt the butter (or heat the oil) in a large heavy frying pan then add the onions and cook over medium-low heat for a loooong time, stirring every 5-10 minutes to keep them from burning. Once they're finished cooking, deglaze the pan with a little wine, stock or balsamic vinegar and salt to taste. 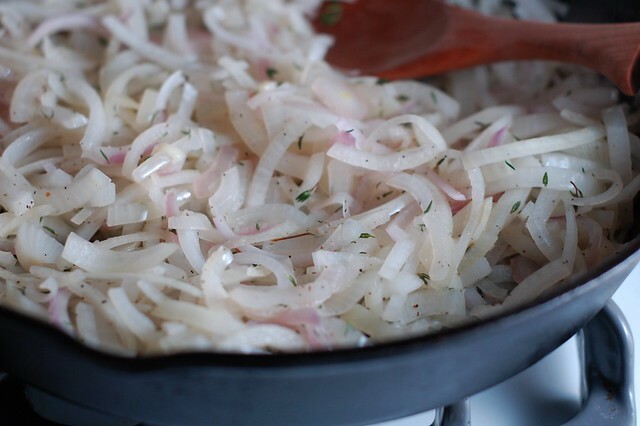 Please note that to truly caramelize onions, it can take up to an hour, depending on how big the onions are. If you don't have time for this, just saute them for a few minutes - they'll still be delicious. 3. 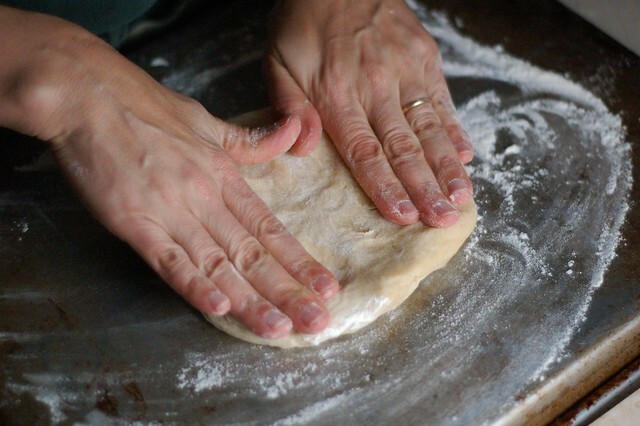 Roll out the dough or lay out the puff pastry on a heavy baking sheet. Top with the caramelized onions, the thinly sliced apples and the cheese then sprinkle with salt and pepper and bake for 20-25 minutes (checking it at 15 just to be sure you're not burning the crap out of it somehow) or until the crust is golden brown and the cheese is bubbly with nice crisp areas. 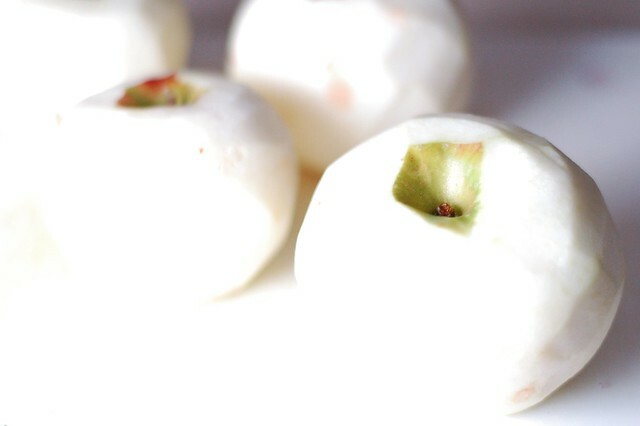 Hi what type of apple do you suggest? Thanks! Hi, any kind of apple will do!